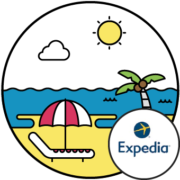 Expedia’s media agency commissioned Ad-Rank to devise a Halloween-themed infographic campaign. We looked at monster stories around the globe, and identified a shortlist of monsters to include in a haunted house themed infographic, with monsters in recognisable national outfits. We shared the infographic with an extensive target list of publishers, including tourist boards for each of the nations represented in the piece, and gained widespread pickup. The infographic was featured on UK tourism websites and was published as far away as Romania and Japan, generating quality backlinks for Expedia.